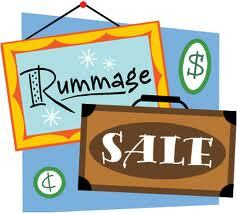 Just a reminder to everyone that we need your donations of good, clean fall and winter clothing (womens, mens, teens and childrens), shoes, boots, coats, purses, jewellery, games, books, toys, linens, china, glassware, pictures, luggage, small household items, and other knic knacs for our annual Fall Rummage Sale! Ladies, please remember to bring your extra special and well loved clothing for our Ladies Boutique. If you have any free time please call Lois at 519-631-3337 to help price, sort and work sale day. Items may be left inside west accessibility door Mondays to Thursdays 9am - 2pm. Thankyou!